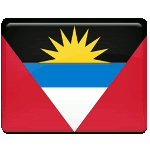 Every year people of Antigua and Barbuda commemorate the heroes of their nation December 9. This observance is known as National Heroes Day and this is a public holiday. National Heroes Day is observed to celebrate the lives of outstanding people, who made great contributions to the development of the nation. The date of the holiday is chosen to be December 9, that is birthday anniversary of the first hero of Antigua and Barbuda, Sir Vere Cornwall Bird. He served as the first Prime Minister from November 1, 1981 to March 9, 1994 and he's generally regarded as the father of the nation. Sir George H. Walter. A, the second Prime Minister of Antigua and Barbuda, who advocated the full independence of the state from the United Kingdom.